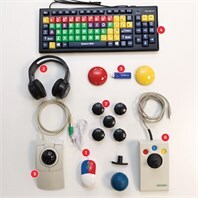 The new bespoke Assistive Technology Kit includes a variety of access and communication devices, including a wireless switch pack, robust headphones and compact joystick, more suited for the older learner. 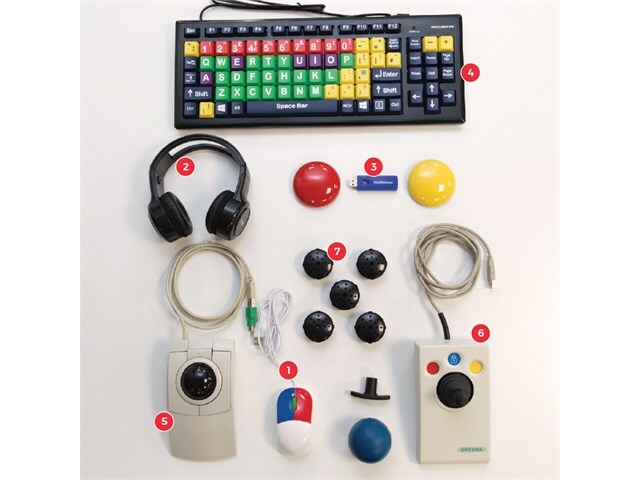 This kit is specifically designed for older learners and includes a three button mouse, robust headphones, a large chunky trackball, a standard joystick, a wireless switch pack, a large key keyboard and low-tech communicators. 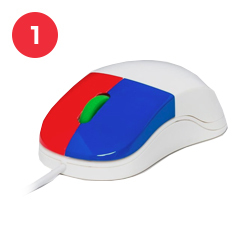 A colourful mouse with two coloured buttons to make it easier to remember left and right click. The right red button and a left blue button it makes it easier to remember left and right click. Read full product description. 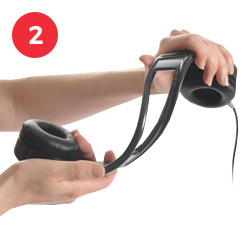 Easi-Headphones are robust, comfortable and designed especially for education. The ear cushions are replaceable and cover the whole ear to minimise outside noise and increase comfort. Read full product description. 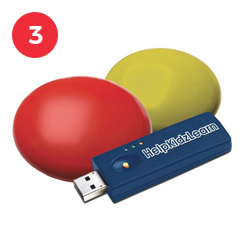 The HelpKidzLearn EasySwitch provides quick and simple switch access via an easy to use interface and two wireless 75mm switches. Read full product description. 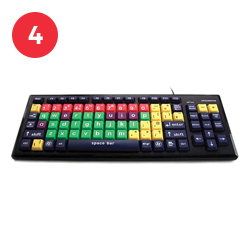 The Jumbo XL Keyboard has chunky one inch square keys that are colour coded and easy to find and press. The colours also help the user to identify vowels, consonants and punctuation marks. Uppercase letters on coloured coded keys. Read full product description. 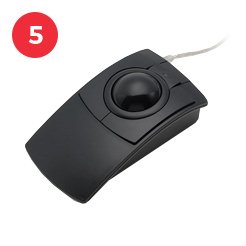 A large sturdy and affordable trackball. A full-sized, three button trackball, the low profile case acts as a natural hand rest and minimizes the wrist angle by mirroring the natural contour of the hand. Colour may vary. Read full product description. 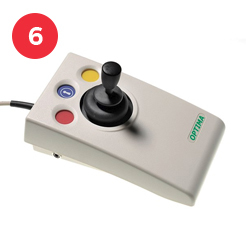 The OPTIMA Joystick responds to the lightest touch for accurate navigation and precise targeting of objects on the computer screen. It is sturdy and robust and its low profile asks as a useful hand rest. Read full product description. The Talking Point Pro records and plays back 30 seconds of sound. 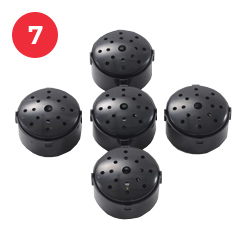 It is ideal for speaking and listening activities. Record, play back and re-record. Read full product description.